Alberobello is the town of Puglia, in ancient times known as Apulia, which is renowned for its trulli, which characterize the town and its surrounding landscape. The history of this unusual town dates back to the second half of the XVI century, when, being a little feud under the control of the Acquaviva family, Counts of Conversano, it began to be filled up with farmers who made the Selva (so called) "Sylva aut nemus arboris belli" a fruitful land. The Counts authorized the colonists to build dry dwellings, in order to get them easily pulled down in case of royal inspection; as a matter of fact, according to the 'Prammatica de Baronibus', the birth of an urban conglomeration required the payment of a tax. This trick allowed then to spare this unjust tax.. It was the year 1797 and a group of brave people from Alberobello, tired of their precarious condition, went to Taranto to ask for help to king Ferdinando IV of Bourbons who listened and made a promise. 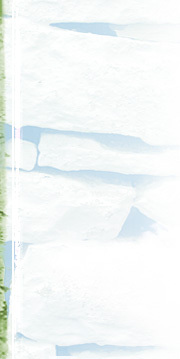 On the 27th of may 1797, the king sent a Decree by means of which the little village became free. The trullo dwellings are dominated by the external use of sheets, the "chiancole", which cover the conic roof and create a wonderful urban centre, unique in the world, that today everybody come and admire. 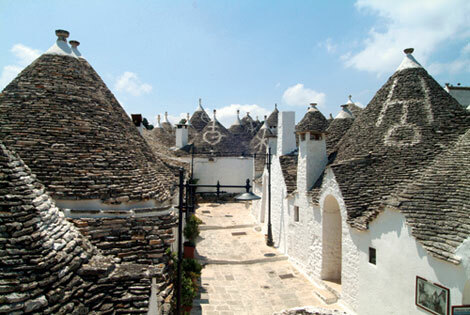 Today Alberobello and the Trulli are recognized World Heritage of the Umanity from UNESCO .